I have been a vinyl record collector for some time and still have quite a few kilograms of vinyl in my shack. For those of you who think vinyl records is something from the past: I bought my records (new with recently released material) mainly from 1994 - 2008. There still is quite some music that is released on vinyl. I started out on 11m (27.555 etc.) in the eighties working stations around the globe. Got my ham novice license (PD0RLH) in 1994 and worked some local stations on 2m FM. I was born in 1972, have two daughters born in 2005 and 2008 and a busy job. Still I manage to find some time for radio-activity. Having worked on HF for a relatively short period of time I am still looking for a lot of DXCC entities to work. With my modest set up this will keep me busy for the next few decades. 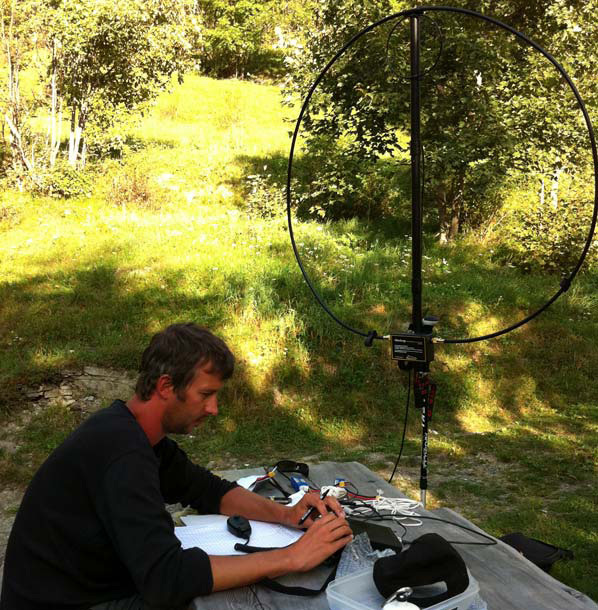 You will find me active both on SSB and digitally on all bands from 80m - 6m. As I don't have a fixed antenna at home you will most of the time catch me working /P (during the week by car, in the weekend by bicycle or on foot). If you are lucky you might catch me working from a Flora and Fauna (WWFF) or Castle (WCA / COTA) location. I live near a number of nature parks (PAFF-005, 019 , 042, 053, 055 and 069), one SOTA location PA-005 and quite a number of WCA recognised castles.